Note: This paper was prepared and presented in part for a panel at the Left Forum held at John Jay College of the City University of New York (CUNY) on Sat. June 3, 2017. The panel was hosted by the United National Antiwar Coalition where the author serves as an administrative committee member. Other panelists included Margaret Kimberley, Editor and Senior Columnist for Black Agenda Report BAR, Ajamu Baraka, National Organizer at Black Alliance for Peace (BAP) and Joe Lombardo, Co-Coordinator of UNAC. Since 2006, the U.S. then under President George W. Bush, Jr. has encouraged and sponsored the intervention into Somalian national affairs. First by seeking to empower warlords to subvert the efforts of the Union of Islamic Courts (UIC) and later after 2009, by recruiting elements of the UIC into the interim federal regime, Washington sought to guide the political events in the oil-rich state. In the Southern African nation of Zimbabwe since 1998, the former British colonial power, the U.S., the EU among others, have imposed sanctions on the government of the Zimbabwe African National Union, Patriotic Front (ZANU-PF) led by President Robert Mugabe. When in 2000 legislation was passed granting the right of the African people to radically redistribute land to the people, the sanctions and other forms of hostile propaganda was enacted. Both Britain and the U.S. attempted to persuade the Republic of South Africa while former President Thabo Mbeki was in office to impose a blockade on Zimbabwe. Britain drew up plans for an evacuation of its settler population which held United Kingdom (UK) passports as well. These suggestions failed and through the assistance of successive African National Congress (ANC) governments, the support of the regional Southern African Development Community (SADC) and the People’s Republic of China, the country has been able to remain afloat. This of course was not the case in the North African nation of Libya, where under the Jamahiriya system headed by Col. Muammar Gaddafi, the oil-rich country had attained the highest standard of living anywhere on the continent. It was the Democratic administration of Obama with Hillary Clinton as Secretary of State which coordinated a war of regime-change and genocide that destroyed Libya as a viable state. Gaddafi was driven from the capital of Tripoli in August 2011 and later captured and brutally murdered by imperialist agents on October 20 of the same year. 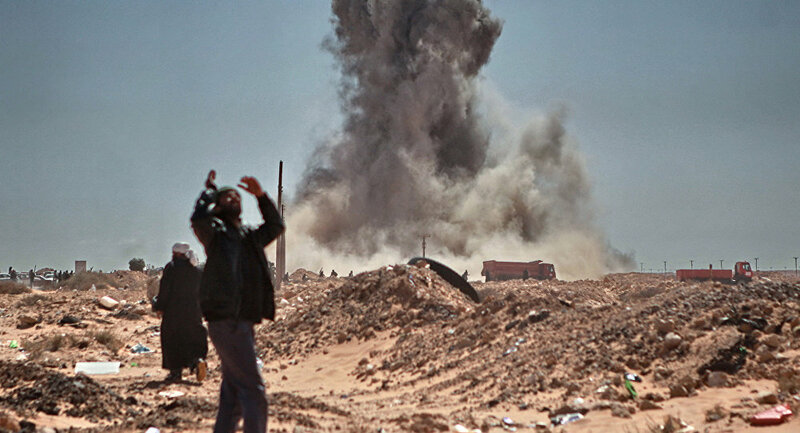 The situation in Libya is a direct result of the foreign policy of Barack Obama towards the African continent. Since the launching of the U.S. Africa Command (AFRICOM) in 2008 under Bush, the presence of U.S. military forces on the continent has increased substantially. Obama announced just two years prior to leaving office that his administration would deploy in excess of 3,500 Special Forces and military trainers across 36 nations. A military base in the Horn of Africa state of Djibouti has been expanded where it houses thousands of U.S. troops at Camp Lemonnier. Imperialism in Africa today is at a critical stage impeding the capacity of nation-states to direct the future of their countries. Despite Africa’s vast mineral, agricultural wealth and labor power, a renewed debt crisis compounded by Pentagon, CIA and State Department interference is reversing the gains that have been made in previous years. U.S. forces were deployed in Morocco, Tunisia and Algeria in Operation Torch which bolstered allied occupations in North Africa. Italy had secured Libya as a colony in 1931 after the two decades-long war of occupation. The Wheelus Air Base was seized from the Italians by Britain in 1943. The large military facility in Libya, after the Italian and German losses, became the principal hub for the U.S. military in the region. After the war with the rise of the National Liberation Movements across the continent, U.S. foreign policy was largely supportive of the colonial powers of Britain, France, Belgium, Spain and Portugal. In Algeria an armed revolutionary struggle was waged during 1954-1961 leading to the independence of the French colony which Paris had occupied for 130 years. For example, in regard to the Portuguese role in waging a war to maintain its colonies during the 1960s and early 1970s, the U.S. did not interfere with Lisbon as it bombed civilian areas in efforts to halt the advances of the African Party for the Independence of Guinea and Cape Verde (PAIGC) in Guinea-Bissau. Other colonies in Mozambique, Angola, Sao Tome and Principe, the Portuguese ruthlessly suppressed independence efforts. Even after independence was won in Mozambique and Angola, counter-revolutionary elements tied to Portuguese intelligence were deployed against the Popular Movement for the Liberation of Angola (MPLA) and the Mozambique Liberation Front (FRELIMO). With specific reference to legislative and State Department initial institutional responses to African liberation struggles, there was the establishment of the African Affairs Bureau under President Dwight D. Eisenhower and the Senate Foreign Relations Sub-Committee on African Affairs which was chaired by the-then Senator John F. Kennedy. The Massachusetts Senator made comments that appeared to be supportive of independence movements against France in both Algeria and Vietnam. Nonetheless, after taking power in January 1961, Kennedy upheld the U.S. policies toward the former Belgian Congo whom first Prime Minister Patrice Lumumba had been overthrown with the assistance of the United Nations. Lumumba had been placed under arrest, tortured and executed with the full complicity of Washington in the final days of the Eisenhower administration. Although Kennedy invited more than two dozen African leaders to the White House during his presidency from 1961 to late 1963 when he was assassinated, Washington continued its Cold War efforts designed to undermine and limit the influence of the Soviet Union, China and Cuba in Africa. In October 1962, Kennedy welcomed the newly ascended Algerian President Ahmed Ben Bella to the White House. However, the administration warned Ben Bella not to visit Cuba after leaving the U.S. due to a purported plot to shoot down his plane in route to the revolutionary Caribbean island-nation. 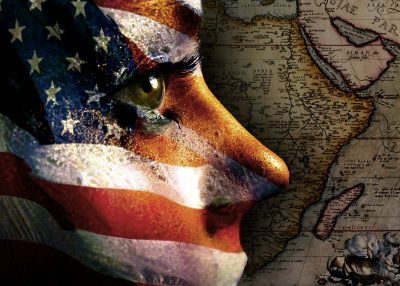 These illustrations of U.S. foreign affairs provide a glimpse of the ongoing efforts by Washington and its NATO allies to dominate post-colonial Africa. Socialist-oriented African states have been the principle focus of destabilization by the State Department and CIA. Accounts from both the State Department and the CIA have proved conclusively in subsequent years that it was the machinations of the U.S. that removed the Nkrumah government. Former Michigan Governor G. Mennen Williams, who served as Assistant Secretary of State for African Affairs under both the Kennedy and Johnson administrations, set the stage for the Ghana coup when he sent a memorandum to the ambassador from Accra criticizing the publication of Nkrumah’s landmark book entitled “Neo-Colonialism: The Last Stage of Imperialism” released in October 1965 just four month prior to the coup which utilized lower-ranking military officers while Nkrumah was on an external mission to end the Vietnam War.